Carolyn Ann "Callie" Khouri (born November 27, 1957) is an American film and television screenwriter, producer, and director. In 1992, she won the Academy Award for Best Screenplay Written Directly for the Screen for the film Thelma & Louise, which was controversial upon its release, but which subsequently became a classic. It was inducted into the Library of Congress National Film Registry in December 2016. Khouri's most recent movie, Mad Money, was released in 2008. On October 10, 2012, Khouri's television series, Nashville, premiered on ABC. The critics awarded it strong reviews. In 2016, Nashville moved to CMT. Carolyn Ann (Callie) Khouri was born in San Antonio, Texas, but was brought up in Kentucky. Her family name is Arabic of Christian Lebanese origin, meaning priest in the Arabic language. Khouri's interest in theatre arts began when she took part in high school plays. Following her graduation from St Mary's High School in Paducah, Kentucky, she studied landscape architecture at Purdue University before changing her major to drama. Khouri dropped out of Purdue and moved to Los Angeles, California where she waited tables  and studied at the Lee Strasberg Theatre and Film Institute and with acting teacher, Peggy Feury. She soon realized that being an actress was not her destiny: "I can't stand people looking at me," says Khouri. In 1985, she took her first step toward “film production by pursuing a position as a commercial and music video production assistant.” From 1996 to 1998, and from 2000 to 2002, Khouri served on the Writers Guild of America board of directors; she sat on the board of trustees of the Writer's Guild Foundation from 2001 to 2004. She was a member of Hollywood Women's Political Committee, Fairness and Accuracy in Reporting Women's Media Watch Project. On June 2, 1990, she married David Weaver Warfield, a writer and a producer. She later divorced him, and married musician T Bone Burnett in 2009. Khouri is a screenwriter, director, producer, feminist, lecturer, and author of non-fiction. She also worked as an actress, lecturer, and waiter in Nashville. While working for a company that made commercials and music videos, she began writing Thelma & Louise, her first produced screenplay. Thelma & Louise won Khouri the Academy Award for Best Original Screenplay, a Golden Globe Award, and a PEN Literary Award, as well as the London Film Critics Circle Award for Film of the Year and a nomination for Best Original Screenplay from the British Academy of Film and Television Arts. According to an interview done by David Konow, a scholarly author and journalist, Callie Khouri mentioned her experience filming her first major film, Thelma & Louise. “While I was writing Thelma and Louise, it was the most fun I had ever had in my life, bar none,” she says. “It was such a pure experience. There was no self-censorship there, there was no second guessing. From a creative standpoint, it was the freest I had ever been in my life. I loved every moment I got to spend time with those characters. Nothing came close to it, including winning all the awards and everything else. As much fun as all that was, it wasn’t as much fun as sitting alone in a crummy office on Vine at 2 in the morning writing that screenplay.” At the Oscar ceremony she said, "for everyone who wanted to see a happy ending for 'Thelma and Louise', for me this is it," brandishing the statue high. After winning the Academy Awards for her best screenplay, she felt motivated enough to continue on with her career and express "her feelings about the lack of female directors in Hollywood", not to mention that most of her career began because of her stance on women's rights. In an interview done by The Huffington Post, she addressed that adult women "are a market that I feel is underserved in the entertainment population at large. I don’t see the kind of women represented that I know or that I’m attracted to. I really want to try to write more nuanced, less simplistic kind of stuff, and its hard to find a place to do that." In 2012 she developed ABC's country music drama series, Nashville, starring Connie Britton and Hayden Panettiere. Khouri's husband T Bone Burnett was the show's executive music producer and composer for the first season. Leaving the show shortly after the first season production wrapped, Burnett later stated that he was upset with television executives' treatment of his wife. His assistant and the managing producer Buddy Miller took over for Burnett in season two. Nashville received positive reviews from critics, and Khouri continued on the show without Burnett's involvement. Khouri works as a part-time lecturer of theatre arts. She has taught a master class on film-making at the Athena Film Festival at Barnard College in New York City, as well as a writing and directing course at the Arts Initiative Columbia University in New York, featuring Thelma & Louise. Aside from teaching and film-making, Khouri devotes time to feminist organizations. "Don’t you think talking about it is important, making the next generation understand that things are still not right for women?" says Khouri. “I feel like I owe aspiring writers at least the warning that they are picking maybe the hardest thing there is to do in the business,” she says. “It doesn’t matter any more how good you are. In some ways, it never really did. Bad movies get made as often as good ones, but so few movies get made now, period. If you write for a studio, you may be one of eight writers, so it’s not like you can have an artistic vision of your own and achieve it solely through screenwriting. I was very lucky because Ridley really wanted to tell Thelma & Louise. He wanted to make the movie I wanted to make. But often times that’s not the case at all. They think your script is a good idea and that’s all. So they buy it and then they hire two or three other people to take a whack at it and it can be a very disappointing thing." According to an interview in Variety Khouri takes an opposing approach toward guns in social media: "in other countries where they have violent video games but less access to guns, they have less mass shootings. I have a really hard time saying, if there were no violent games, people would stop shooting each other. I think that until they have no way of shooting each other, they won't stop." says Khouri. "We have a speed limit. Why can't we have a bullet limit? The idea that we don't need limits stricter than we have now on guns is absolutely insane. Because ultimately, people don't kill people — guns kill people, and people with guns kill people." She also argued that America has lost its moral compass and that "it's worse than it's its ever been!" in the matters of gun control. She claimed that there is no quick route to end gun control because Hollywood actors such as Sylvester Stallone "make a fortune from violence. Do you think those types of movies will stop getting made? I don't," says Khouri. ^ The Heartbeat, and the Twang, of a City; New York Times, October 7, 2012; accessed January 23, 2014. ^ Weller, Sheila. "The Ride of a Lifetime: The Making of Thelma & Louise". Vanity Fair. Retrieved 2016-02-09. ^ "83. Ben Blacker." Fast Company 176 (2013): 138. Interview: Callie Khouri. Database: Shatford Library - Ebscohost.com Retrieved 2015-04-27. ^ "Callie Khouri profile at". Filmbug. 2008-05-19. Retrieved 2013-02-12. ^ a b "Database Login| Shatford Library at Pasadena City College". Go.galegroup.com.ezp.pasadena.edu. Retrieved 2013-02-12. ^ a b "16th Nashville Annual Screenwriters Conference". Nashscreen.com. Archived from the original on 2011-11-28. Retrieved 2013-02-12. ^ “I wouldn’t send any impressionable young woman I know to see Thelma and Louise” CreativeScreenwriting.com Retrieved 2015-04-24. ^ JANET MASLINPublished: April 1, 1992 (1992-04-01). "The New York Times". The New York Times. Retrieved 2013-02-12. ^ Callie Khouri – On Creating Character: Thelma & Louise SYDfield Academy of Screenwriting-Interview Retrieved 2015-05-02. ^ "Weekend Box Office Results for June 7–9, 2002". Box Office Mojo. Retrieved 2013-02-12. ^ Willman, Chris (30 October 2013). "T Bone Burnett on Quitting Wife Callie Khouri's 'Nashville': It Was a 'Drag-Out Fight'". The Hollywood Reporter. Retrieved 23 March 2015. Some people were making a drama about real musicians' lives, and some were making a soap opera, so there was that confusion. It was a knockdown, bloody, drag-out fight, every episode. ^ Gold, Adam. "T Bone Burnett Not Returning to Nashville, Buddy Miller to Take Over as Show's Music Producer". City Press. Retrieved August 13, 2013. ^ "ABC Gives Drama Pilot Orders To Soaps From Mark Gordon And Callie Khouri". Retrieved 2012-04-21. ^ Andreeva, Nellie. "2013 Writers Guild Awards Nominees Announced". Deadline.com. Retrieved 2013-02-12. 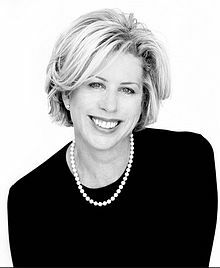 ^ "Austin Film Festival To Honor Callie Khouri; 2013 Conference Slate Unveiled". Deadline.com. Retrieved 2013-09-07.